Marple Memorial Park was built on land donated by local families, and opened in 1922 to commemorate all the Marple soldiers who died during World War I. Today it is at the heart of the local community, housing the library, health centre and other public buildings. The park provides a wide range of outdoor leisure facilities for all ages including skate park, play area, multi-use games area and teen seating. The park is a good starting point for local walks or for exploring local history. On a clear day there are stunning views of the Peak District hills. 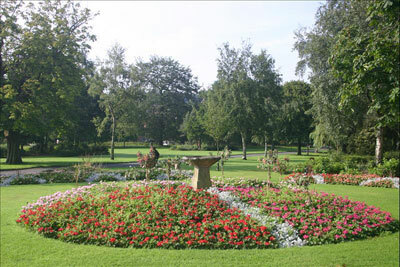 Other attractions include a bowling green, sensory garden and many heritage features.